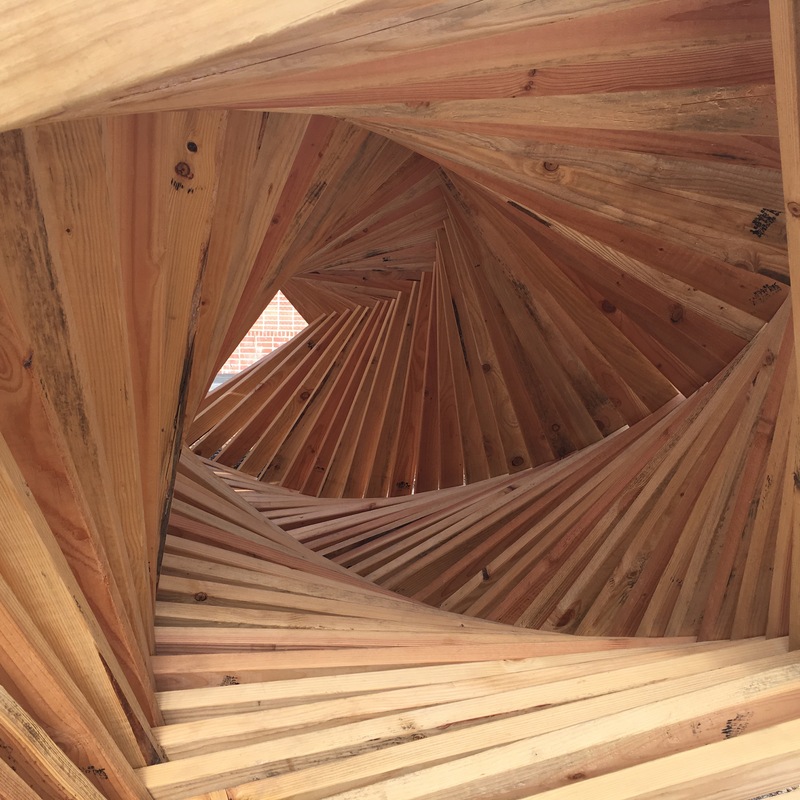 In this architectural exercise meant to reinforce the concept of scale, students were first asked to build a small balsa-wood sculpture at 1″=1’=0″ scale. 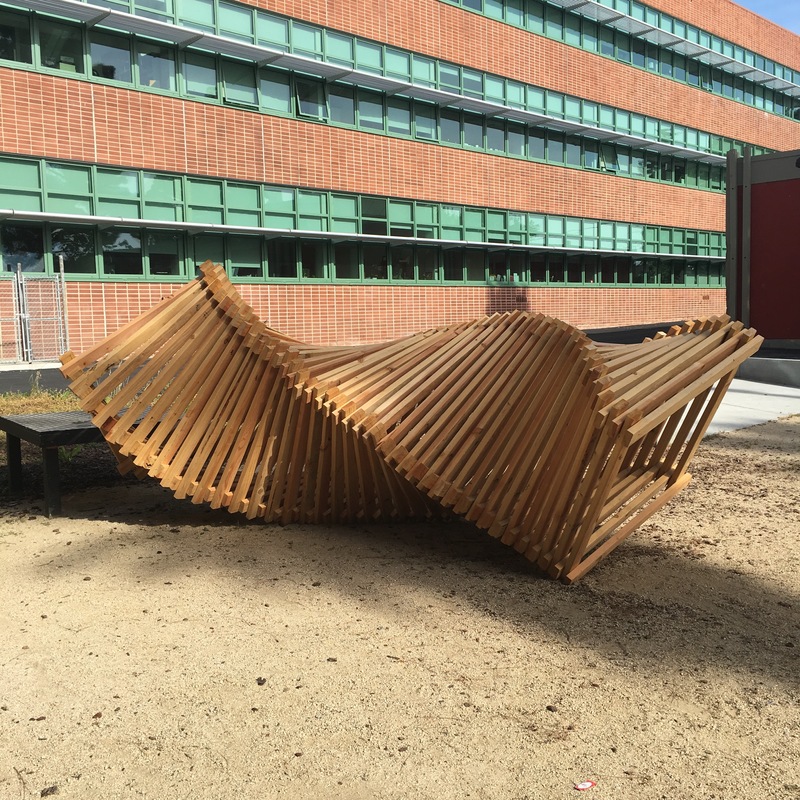 The concepts for the forms were inspired by verbs, actions, ideas, and more. 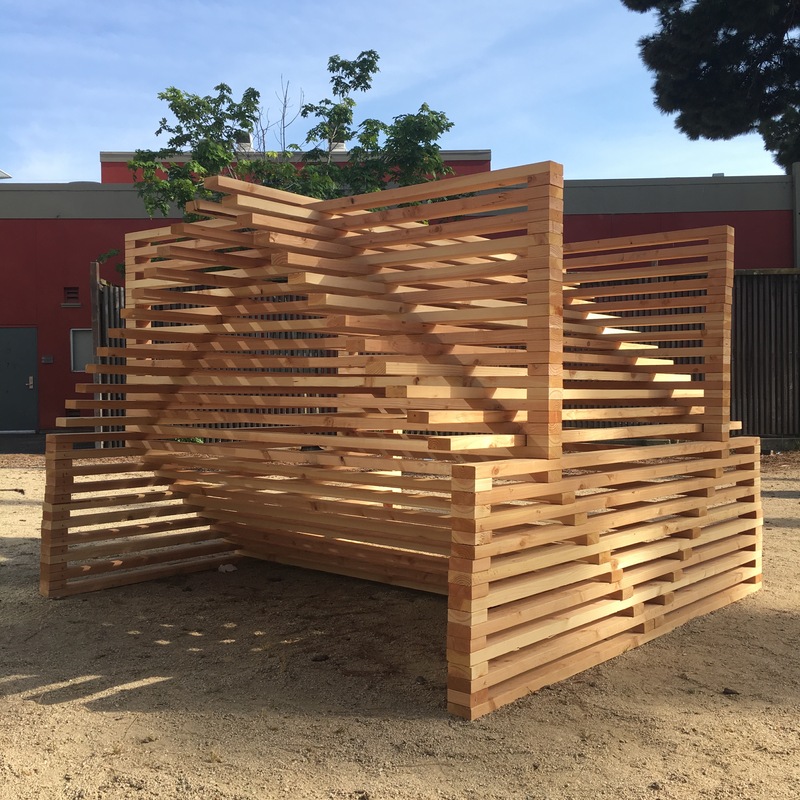 Following the scale model, students used the most rudimentary of building materials (dimensional lumber), to take their designs to full-scale, using 4-foot and 8-lengths to create inhabitable or sculptural structures in the school courtyard.